When you think about the Los Angeles Rams and success, one name above all others springs to mind — running back Eric Dickerson. As a rookie back in 1983, Dickerson burst onto the national scene by breaking the NFL rookie rushing record and spent four-plus seasons with the organization as one of the NFL’s premier players. In each of his four seasons with the Rams before being traded to the Indianapolis Colts, Dickerson experienced nothing but winning seasons under head coach John Robinson. 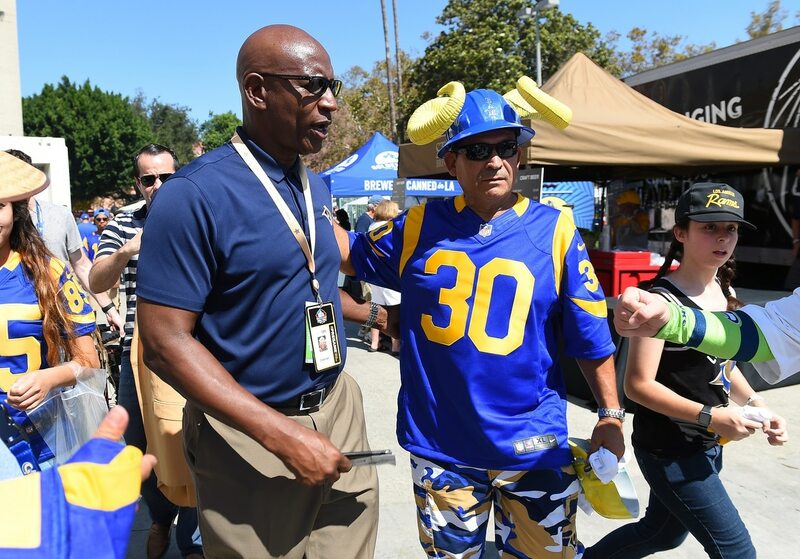 Now that the Rams are back in Los Angeles, Dickerson has taken a big interest in the franchise that drafted him, but he’s finding out the feeling isn’t mutual. As an outspoken, honest critic of the team that he loves, Dickerson has taken some shots at the way things are being run and has said the Rams won’t make the playoffs. Dickerson is right, even if the team doesn’t appreciate his honesty. With a record of 4-7 and a rookie quarterback guiding the offense, Los Angeles has no chance to make it into the playoffs this year, something that irks the team legend. He also said the Rams don’t have the right coaches in place to help rookie Jared Goff develop. Whether Dickerson’s thought process about Goff prove right or not, one thing is certain: The Rams are not interested in having the legendary running back on the sidelines any more. That the Rams are pushing Dickerson away instead of bringing him in closer to help the team move in the right direction tells you all you need to know about how things are being run. You have one of the NFL’s all-time greats in a position to change the culture of an organization that has been mediocre — at best — for the last 13 years. And you’re telling him to get lost? Rams gonna Rams, I guess.